Anyone who has watched The Mentalist knows that the driving force behind the show was Red John, or more precisely, Patrick Jane’s pursuit of Red John. Other shows are crime/detective procedurals, other shows have quirky consultants, other shows use alternative methods of solving the crimes, and The Mentalist had all of that and more: A serial killer that didn’t get caught for 5.5 seasons and was hunted by a man so permanently damaged that not even a happy wedding ending could shake the feeling of melancholy surrounding his character. Despite being a con artist who pretends to contact the dead and read minds for money, Patrick Jane (Simon Baker) was picked to help figure out the identity of a serial killer named Red John whose calling card was a giant smiley face painted on a wall with his victim’s blood. After publicly insulting this unknown killer, said killer murdered Patrick Jane’s wife and daughter for revenge. After suffering a mental breakdown, Jane made it his mission in life to hunt down and kill Red John. He joined the California Bureau of Investigation to work with the team assigned to the case. 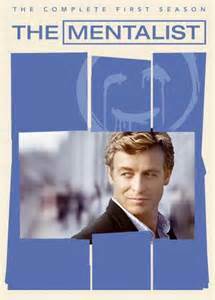 As great as The Mentalist was, I think it could handle another season, and one centered around Red John at that. First of all, the catching and klling of Sheriff Mcallister (Xander Berkeley – did a great job, by the way) should have been either the last or second to last episode of the entire show. It was painful to watch Patrick Jane limping on two years later, forced to either work for the FBI or have to face prosecution for taking the law into his own hands. And although I was happy to see him and agent Teresa Lisbon (Robin Tunney) get together, I thought they deserved better than an overdone rom-com airport confession and a following relationship that carried little of the closeness that had come before. Marriage and a baby on the way both point to a good future for the couple, but there are things that show that Patrick Jane is still very damaged. Take the scene in South America (don’t remember which country he’s in) where Jane wakes up in deja vu to an undercover FBI officer cooking him breakfast at the stove, eerily like Lorelei Martins (Emmanuelle Chriqui) did before she revealed she was a follower of Red John. The lighting, the slow motion, everything about that scene recalls the one that came, in on-show time, two years before it. Patrick Jane is also much subdued after finally killing Red John, something that may be realistic, but is hardly exciting to watch. Although he initially welcomes working for the FBI to see Lisbon again, he grates against the job in a way that is disconnected from the Patrick Jane we’ve come to know. He grates against the work more than he does against the FBIs rigid way of operating. He proposes to Lisbon with his dead wife’s wedding ring. He wants to spend his life fixing up a shack. He buys a RV caravan thing eerily reminiscent of the carny culture he so wished to escape as a young man. These things don’t signal “happy ending” for either him or Lisbon. This is a man still very much in crisis. This a man who stll has a sliver of doubt about himself, perhaps because Jane was at his best when hunting Red John. He had a purpose and a calling. Revenge is a tragic way to make a living, but for his character and for the show, it worked. Make no mistake: I want a happy ending for the characters. I want a wham bam, wow of an ending that makes sense of all of the seasons that came before. The choice of Sheriff McAllistar as Red John didn’t work for me. The Captain Hook phrase “worthy opponent” comes to mind. Why the sheriff was not that opponent has a lot to do with screen time, but also due to the fact that he was a random choice. He was only in one episode previously to being added to the list of seven suspects, but so were others like Brett Partridge (Jack Plotnick). Brett with his greasy hair would have been a better choice, actually. His first scene in episode one of the entire show is chilling. Partridge describes what Red John does to his victims not in the clinical tones his job calls for, but in an excited and almost reverant fashion. Patrick Jane immediately names him as a ghoul, and the entire scene crackles with foreshadowing. Had Brett Partridge been chosen as Red John, I would have thought, “Ah, that makes sense. It fits.” His fanaticism and downright creepiness make him a worthy opponent. Vizualize cult leader Bret Stiles (Malcolm McDowell) (why are all of these guys named Bret(t)?) would have also been a worthy Red John, as he mentally spars with Jane throughout almost all of the seasons of the show. Even the fake out choice of CBI director Gale Bertram (Michael Gaston) was better. He at least had several previous episodes to give the audience reason to suspect him either to be Red John or to be working with him. The biggest problem with McAllistar is that he was suddenly added to a list of 7 suspects of people with whom Jane had met and shaken hands since…really? Really, writers? If the list itself had been a bluff for a different person they had in mind, that would have been awesome. How it turned out, not so much. The Vizualize guy would have been a better choice. Heck, Cho (Tim Kang) would have been a better choice. Who would have seen that coming? I mean, he’s got a brain. Have you seen the classic tomes he reads? And he likes the bad-good girls. His romance with Summer (Samaire Armstrong) was epic. What about Van Pelt (Amanda Righetti)? What about Lisbon? Rigsby (Owain Yeoman)? I have to ask, is it really that big of a deal if some or even all of the audience guesses the answer before the end of the story? I guessed who Johnny Depp was in The Tourist and I still enjoyed the ending. Writing a twist that almost no one guesses (i.e, The Sixth Sense) is next to impossible. And once someone does, every thriller after the audience is hunting for the twist and it becomes a headache for the writers because same audience decides that the story lives or dies on whether they guess the twist. Too easy to figure out, the writing is crap. Too hard to figure out, audience feels cheated (i.e., my own wish that there had been a different ending). Did fears of the audience guessing “who dunnit” play into the strange choice of McAllistar and the even worse choice to try out The Mentalist as a straight procedural? I don’t know, but as a viewer, I felt it didn’t work. The show never sold me on being a procedural at the cold and clinical FBI, although it worked ok at the CBI as long as they were also chasing Red John. The Mentalist deserves another season to remedy these mistakes. Patrick Jane deserves another season to revel in the chase. He can be happily married, and a father, and still revel in the chase. He can be happy in all of these things and still be a tragic character, but one true to the episodes that came before. Patrick Jane does not build cabins in the woods. He does not buy RVs. Patrick Jane enjoys detecting and the con, especially conning evil. And he’s damaged and always will be Patrick Jane is still very much in need of therapy, and that therapy involves catching killers. Up Next Time: Part 2 – What a Red John Show would look like.